Is there a more British scene? Is there a more British scene than groups of people sitting in a pub garden, cooking up a barbecue, eating strawberries and cream and watching a game of cricket? This is the scene I imagined as I sat by the window at the back of The Crown, Horsted Keynes. 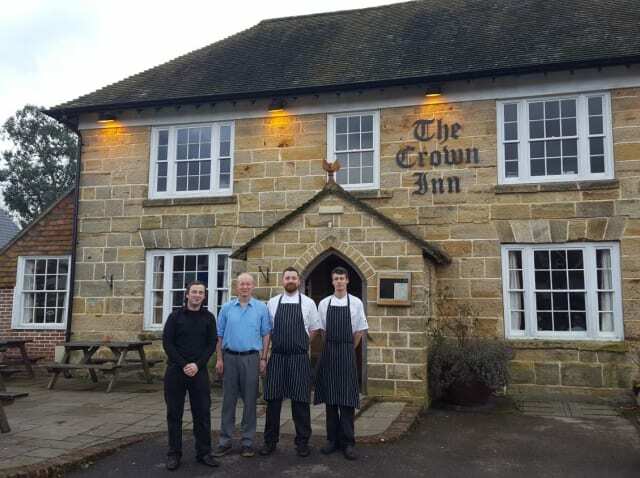 One of two pubs in a typically English village, The Crown has been under the new ownership of father and son pair Mark and Simon Dennis, who is also head chef. 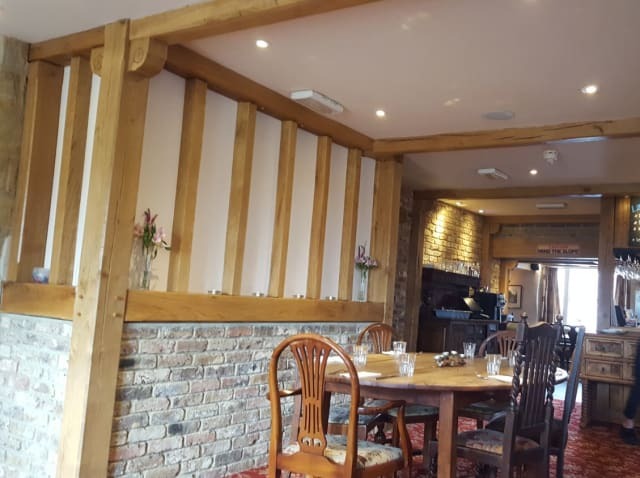 And they are doing a wonderful job of making The Crown the perfect mixture of fine dining and a friendly pub atmosphere. They have owned The Rose and Crown in Cuckfield for three years and in November they took over The Crown, a pub with a rich and mixed history. It is a 16th century brick building set on a green and inn July 2003, lightning struck a power line to the building which resulted in very serious damage and large parts of the building were destroyed. Fortunately the oldest parts were untouched and after being closed for more than five years, it was finally reopened in 2009. It is clear where the new parts of the building are but the beams are blended perfectly and the decor creates a light friendly tone. As we drove near to Horsted Keynes, we spotted a shooting party in one of the fields, and when we saw the menu it was clear it was heavily influenced by game. And Mark informed us that local gamekeepers provide pheasant, venison and other game produce to The Crown. 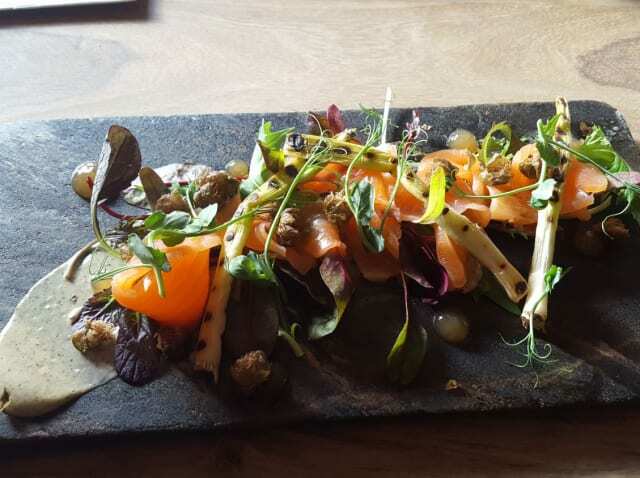 They source local produce where they can and it really adds to the quality of the menu. After a friendly welcome by Mark, Niall and Imogen, we started to peruse the menu, which was full of delicious looking dishes. 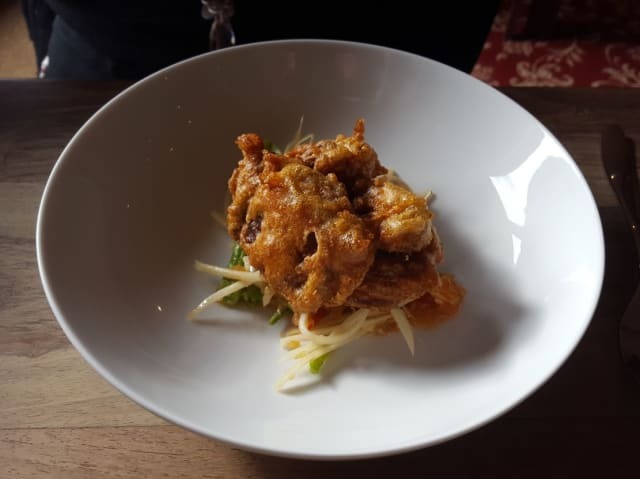 For starters, my wife Amanda chose the Soft Shell Crab with Green Papaya Salad. I went for the Gin Cured Salmon with Crispy Capers and Caramelised Lemon Gel. Both dishes were the beautifully presented and have a plethora of flavours with every forkful. 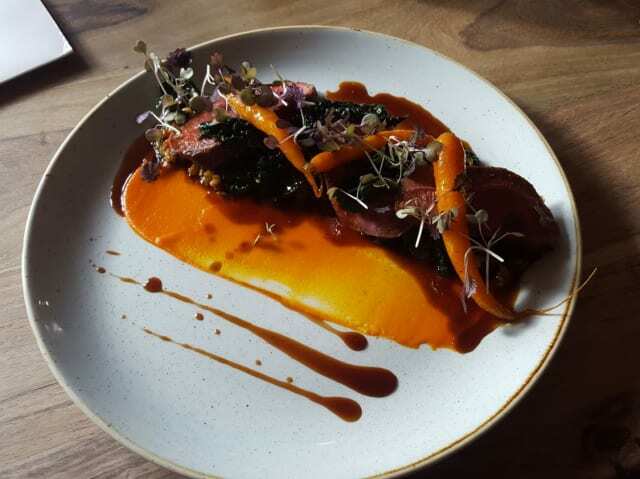 The main was an easy choice for me, the Venison Haunch, Pearl Barley, Calvolo Nero and Carrots. 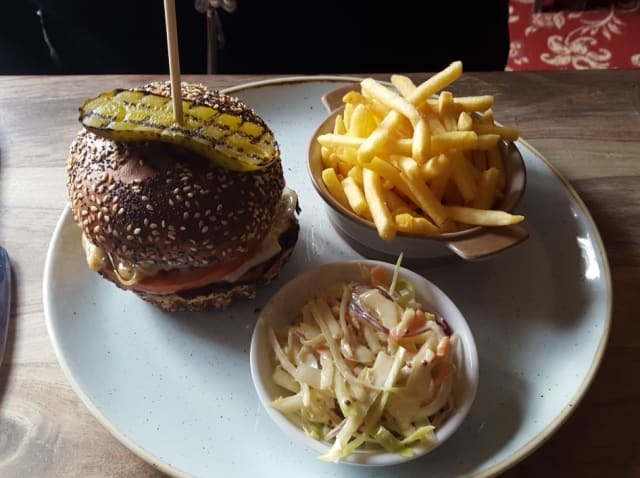 Amanda went for The Crown Burger, which came in a beautiful brioche bun. The burger was classic and cooked perfectly. The Venison was quite simply divine and melted in the month. The gravy and puree which accompanied the dish were stunning. It was a perfect dish. Each dish on the menu had a recommended wine so I thought I would go for the Short Mile Bay Shiraz from Australia to accompany my main course. Not only can Simon cook, he knows what he is talking about to. Chatting to Simon after the meal, it became apparent how passionate he is about food and passing on his knowledge to others. He has returned to his old school Oathall to help with teaching DT cooking and well as showing his team the how to cook different parts of an animal - like the venison haunch. The puddings were next - Amanda could not choose between the Chocolate and Rosemary Ganache and the Blackcurrant Parfait - so she relied on Niall’s recommendation of the ganache. And he was right. 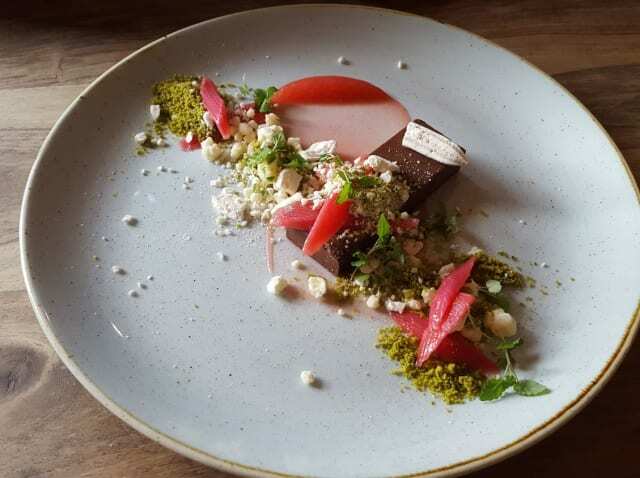 The sublime ganache was complimented by rhubarb, pistachio and meringue. It was a stunning looking dessert, and tasted as good as it looked. I went for the Lemon Posset with Ginger Brandy Snap and Burnt Lemon. 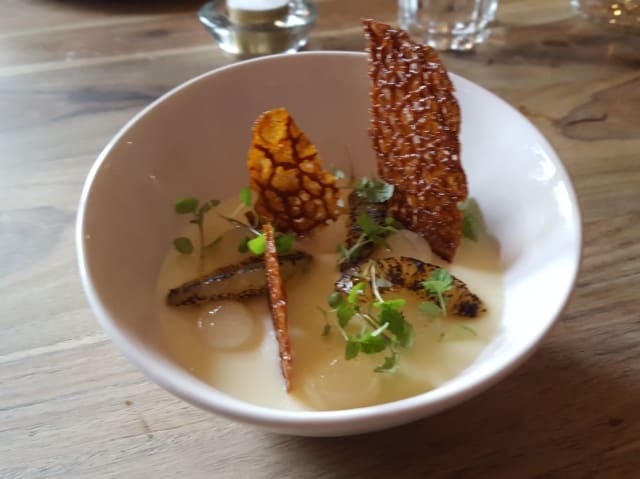 The posset was so smooth and creamy but it was the brandy snap, the ginger gel and the burnt lemons which really brought the dish to life. 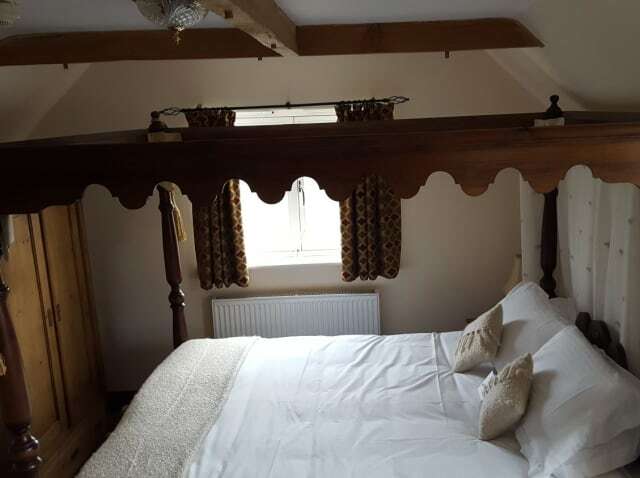 The Crown is not just about the fine dining and the traditional pub, it also has four bedrooms as well, two of which look out onto the cricket pitch at the back. And it’s not just Simon with the talent in the family, the accommodation is decorated with stunning artwork by Simon’s sister.